4. 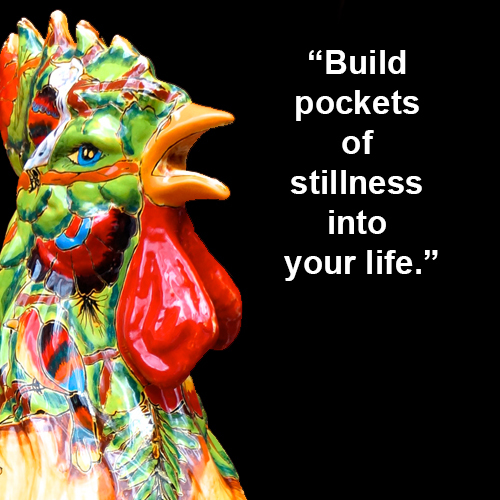 Build pockets of stillness into your life. Meditate. Go for walks. Ride your bike going nowhere in particular. There is a creative purpose to daydreaming, even to boredom. The best ideas come to us when we stop actively trying to coax the muse into manifesting and let the fragments of experience float around our unconscious mind in order to click into new combinations. Without this essential stage of unconscious processing, the entire flow of the creative process is broken. James Baldwin on Freedom and How We Imprison Ourselves.